Explanation: Will the Huygens probe land or splash down? In the next few days, the Cassini spacecraft currently orbiting Saturn will release a probe that will descend toward Saturn's largest moon in mid-January. That moon, Titan, has a surface normally hidden from view by thick methane cloud decks. What the car-sized flying-saucer-shaped probe will find is unknown. Once reaching the surface, Huygens may survive for as long as 150 minutes and take as many as 1,100 images. 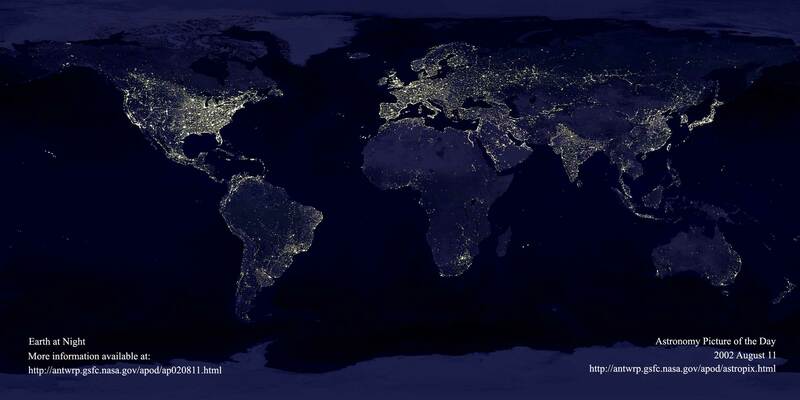 These images will be beamed up to the passing Cassini mothership for subsequent transmission to a waiting Earth. 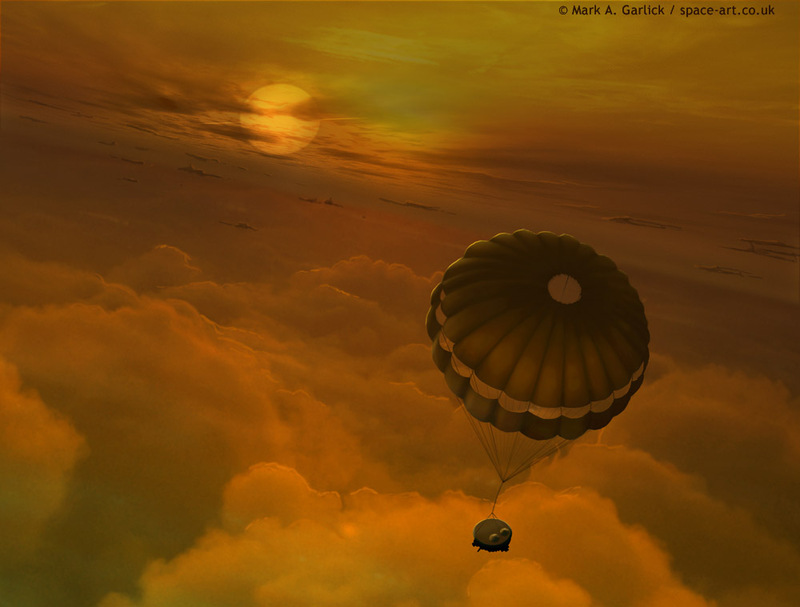 The Huygens probe is depicted above entering Titan's atmosphere and deploying its parachute. Uncovering the most mysterious moon in the Solar System may reveal a surface so strange that images of it may not be immediately understood. Discussion consensus: Australian strange streak is plausibly just a flying insect.